A quiet, secure and private space designed for the open office. Watch the Video! 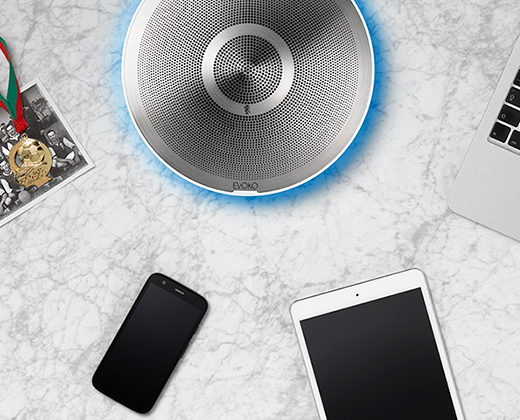 Manage audio with a variety of solutions from BOS. Affordable. Dependable. Versatile. 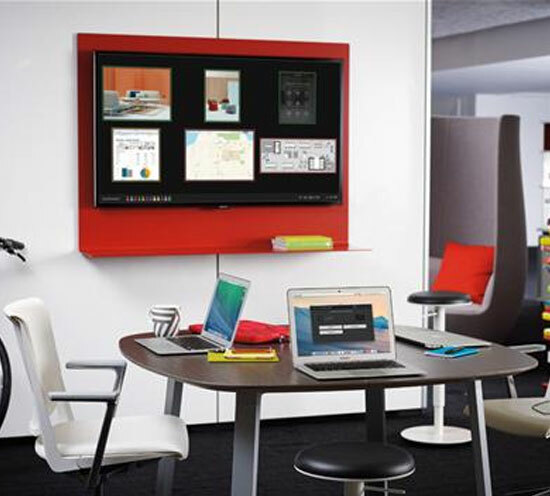 Say goodbye to board room nightmares and hello to Key Digital’s wireless board room! 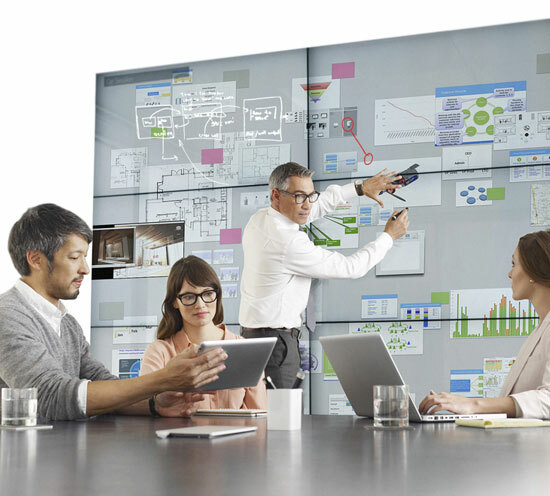 If you’re looking for a highly intuitive tool that you can share confidently with… ClickShare is right for you. Designed by award-winning Swedish designers No Picnic, the Evoko Minto is your new way of communication in business meetings. Technology has become an essential component for every business and every business person in today’s innovative culture. 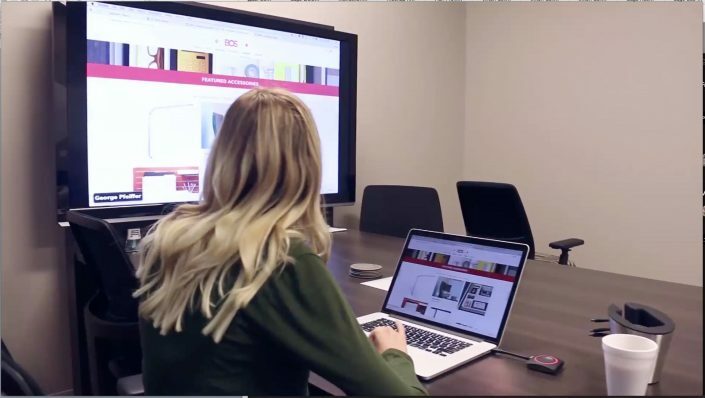 Partnered with Haworth, the BOS team are experts in the technology space and offer clients cutting edge products, services, and knowledge that our competition can not match. 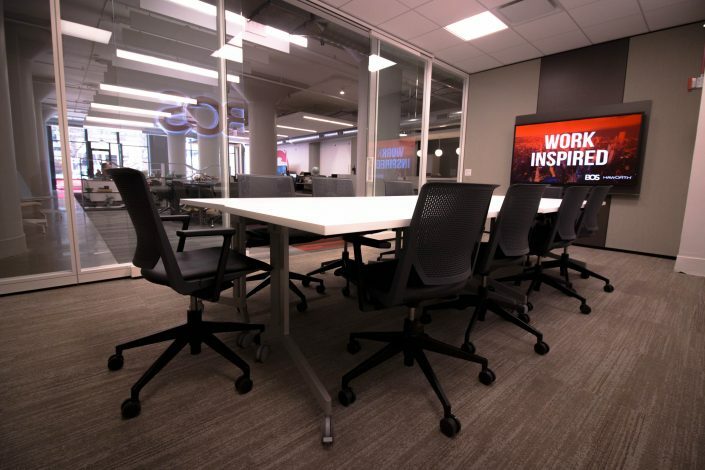 We specialize in complete corporate solutions that combine the latest in communications technology with workplace architecture and furnishings. We make technology work for you, and not the other way around. 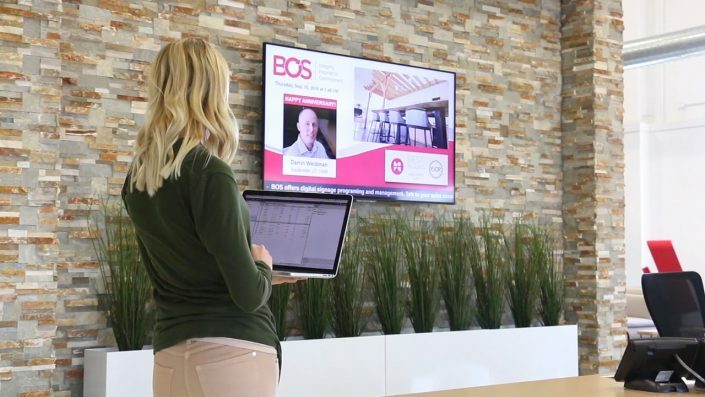 Leap ahead to lead your industry with cutting edge technology from BOS Tech Services today.